Desktop cloud platforms, such as UnaCloud and CernVM, run clusters of virtual machines taking advantage of idle resources on desktop computers. These platforms execute virtual machines along with the applications started by the users in those desktops. Unfortunately, although the use of computer resources is better, desktop user actions, such as turning off the computer or running certain applications may conflict with the virtual machines. Desktop clouds commonly run applications based on technologies such as Tensorflow or Hadoop that rely on master-worker architectures and are sensitive to failures in specific nodes. To support these new types of applications, it is important to understand which failures may interrupt the execution of these clusters, what faults may cause some errors and which strategies can be used to mitigate or tolerate them. 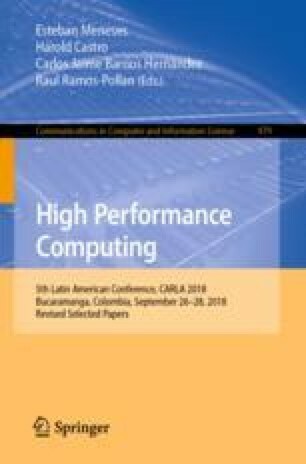 Using the UnaCloud platform as a case study, this paper presents an analysis of (1) the failures that may occur in desktop clouds and (2) the mitigation strategies available to improve dependability. This work has been partially carried out with resources provided by the CYTED cofunded Thematic Network RICAP (517RT0529).